Sophie Gimbel Designs For Saks — And Dolls! I was working on another set of doll articles for Diane’s Doll Hospital (this time on vintage walker dolls from the 1950s; sign up here to get the articles), when I stumbled into Sophie Gimbel. Sophie began her fashion design work as a young girl making clothing for her dolls and grew into an adult who hired as a stylist for Saks. 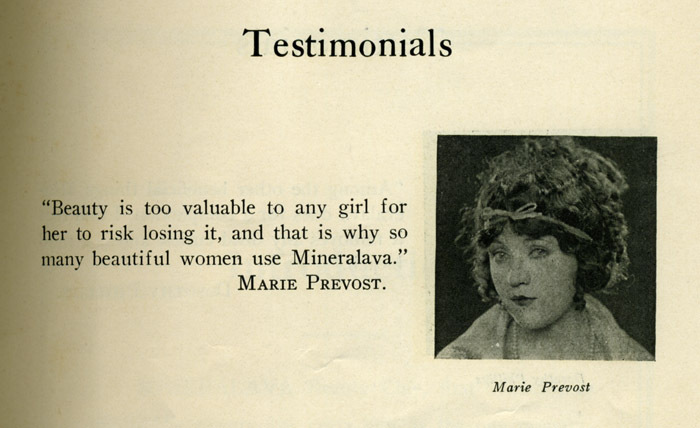 She was hired by none other than Adam Gimbel, whose grandfather was the founder Gimbels. (Kind of ironic, hey?) 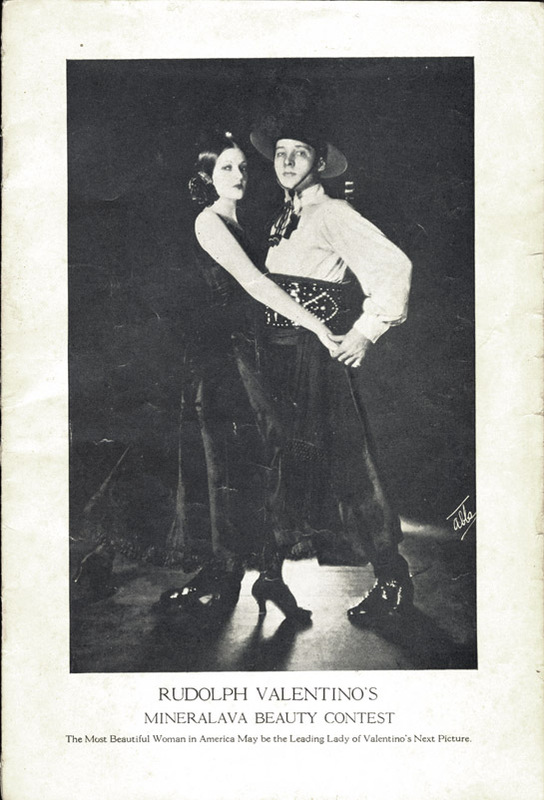 In 1929, at the age of 31, she was lead fashion designer and manager of the Salon Moderne of Saks Fifth Avenue; by 1931, she would marry Adam Gimbel. Her designs, originally sold under the “Sophie Gimbel” label were so fabulous, she became recognized as an innovator in New Look fashion. By the 1940s, the label was changed to “Sophie of Saks”, and, on September 29, 1947, Sophie would become the first American fashion designer to grace the cover of Time magazine. (Elsa Schiaparelli was the first fashion designer in the world to be on the cover of Time in 1934 .) So by the time this news article I’m going to share was published, Sophie was firmly established as a leading force of mid-century American fashion. 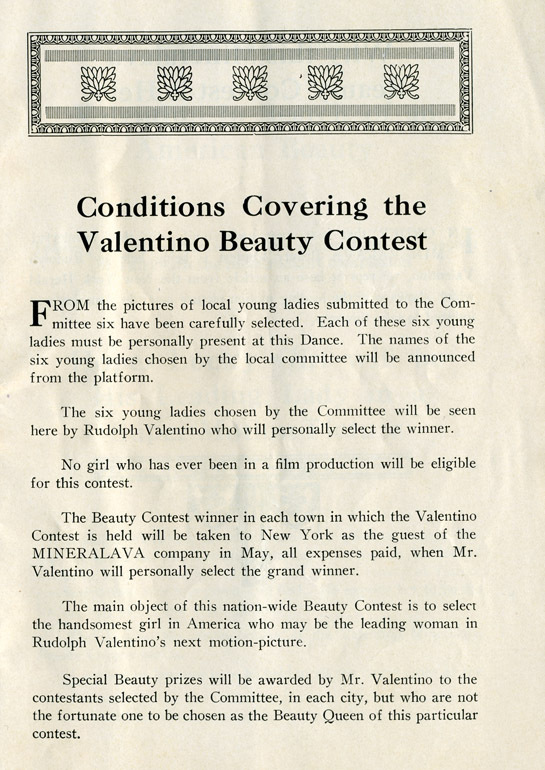 The article was in the Montreal Gazette, June 17, 1950, and was about a Sophie fashion show which had been held the day prior at Saks Fifth Avenue. 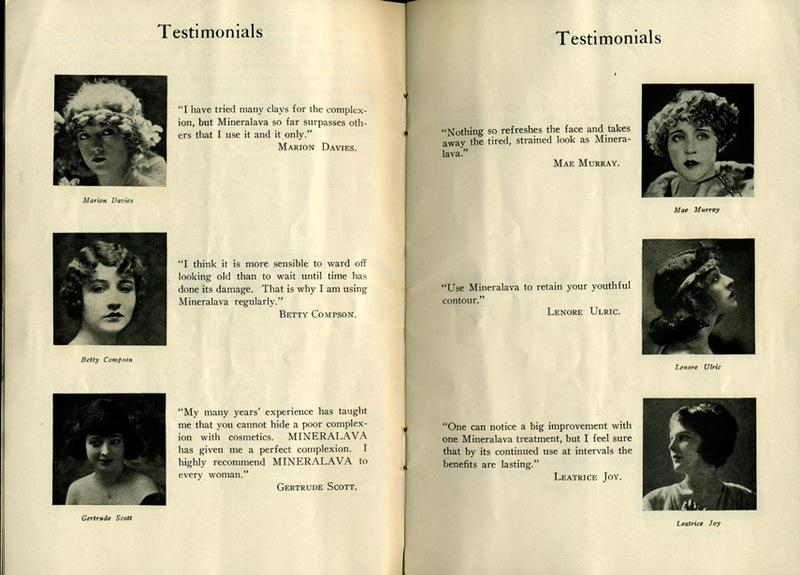 She had designed not only doll clothing for Wanda but a series of matching doll and children’s fashions! 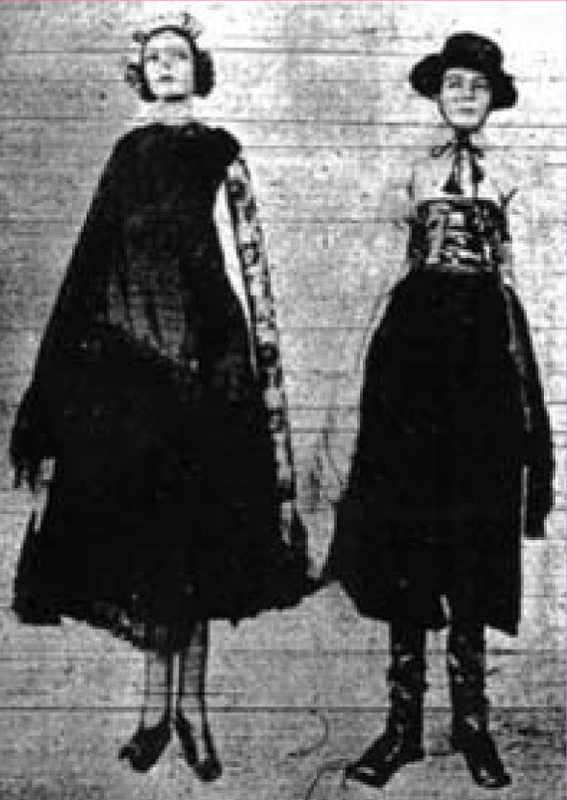 The costumes, which were presented simultaneously on dolls and little girls, are available in children’s sizes three to six and seven to fourteen. They include a pink organdy party frock, a gray flannel jumper suit, a plaid cotton dress, and a blue reefer coat. This is quite possibly one of those Sophie’s Originals for Saks dresses mentioned in the ad, which was made for, and shown here on, a Wanda Walker doll. Of course, Sophie continued to design high fashion for adult human females long after this (including creating the red coat and dress Lady Bird wore to LBJ’s 1965 inauguration); but it is more than fitting to include Sophie’s fashion costumes for dolls in her story. After all, Sophie Gimbel began her design work making clothing for her own dolls. 1950s photo of Sophie Gimbel with models via Patricksmercy. 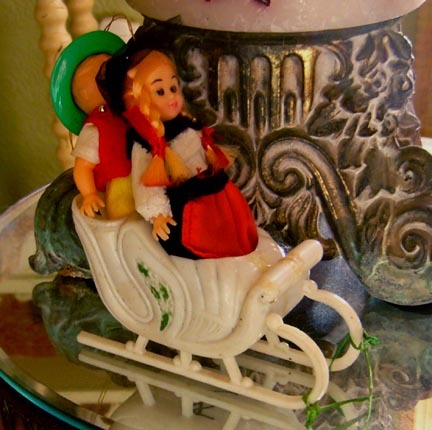 Posted on August 22, 2014 December 30, 2014 Author DeannaCategories Fashion, Stores, ToysTags advertising, collectibles, doll clothing and accessories, dolls, ephemera, vintage, vintage doll6 Comments on Sophie Gimbel Designs For Saks — And Dolls! About Frozen Charlottes & Charlie dolls. 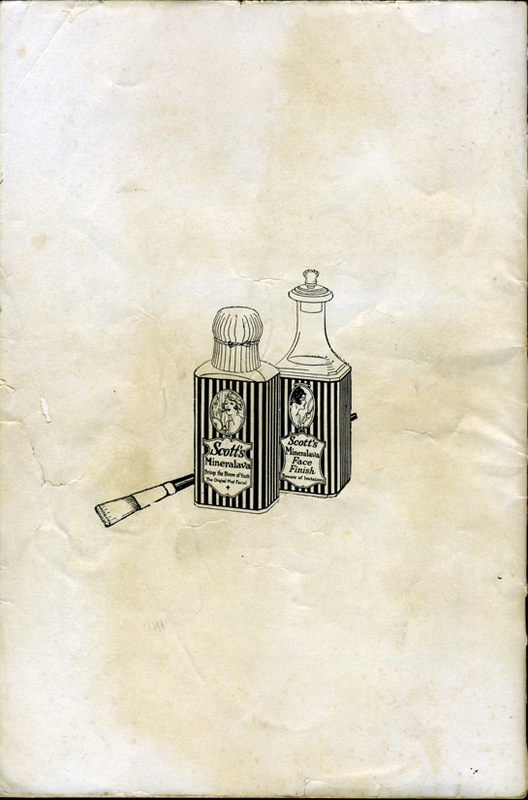 Posted on June 13, 2014 June 17, 2014 Author DeannaCategories News & ViewsTags dolls, history, mortuary, VictorianLeave a comment on Happy Birthday, There’s a Corpse in Your Cake! And we’ve all seen enough of the old sleighs at thrift shops to know that eventually, like Santa’s sleigh Christmas morning, whatever goodies were originally in the sleigh have left — even Santa and his reindeer have departed leaving an empty and forlorn sleigh, just shadow of its former useful and joyful self. 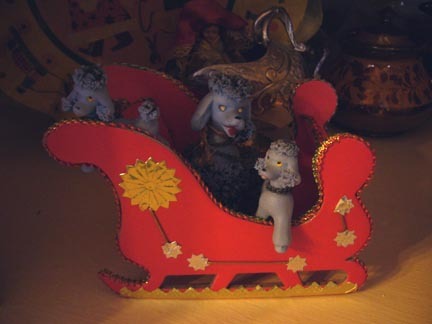 But Wanda’s archive of Christmas decorating inspires me to rescue and adopt these old empty sleighs and fill them with other collectibles. (I do have quite a number of those just sitting around!) 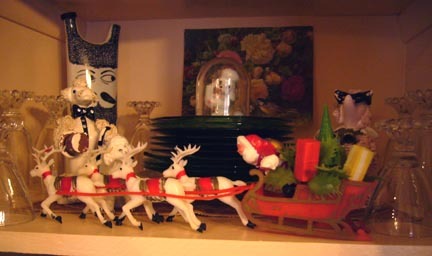 Here she shows some vintage plastic dolls of other nations taking a ride around the world in Santa’s sleigh. And here, retro kitschy poodles pile on in! I just love that! A lovely portrait of an old composition doll, wearing a pretty dress, propped-up by a pillow. Vintage negative, circa 1940s, via Lynnstudios . Mr. Rock Space Adventurer from Another Planet. 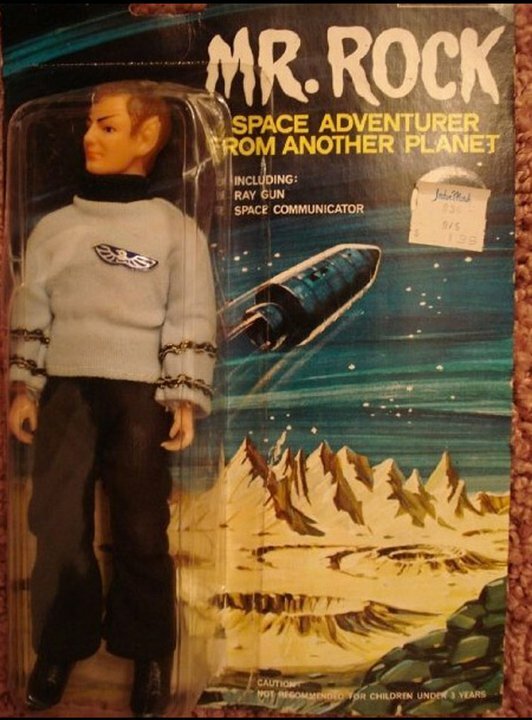 Clearly this vintage action figure, which includes Ray Gun and Space Communicator, is a knock-off of Star Trek’s Spock. The pointy ears and slanted eyebrows give it away. This vintage space age toy was made by Lincoln International , a New Zealand toy company. Fun Ho says that Lincoln International began in 1946, when Mr. Lincoln Laidlaw took over a Higgins and Clotworthy handbag frame company. 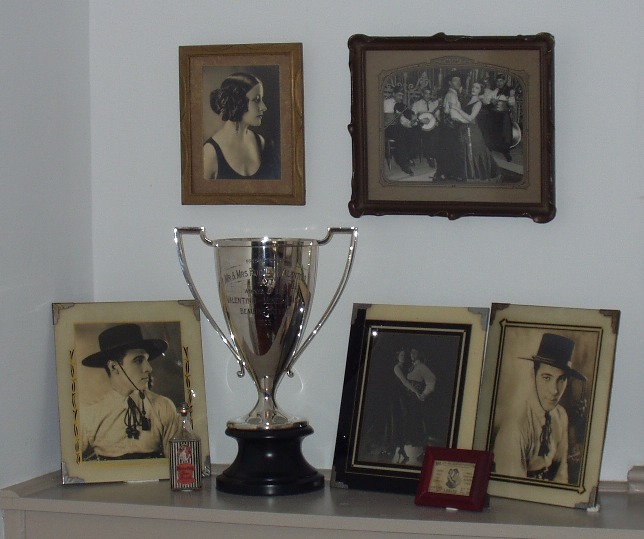 (Lincoln Laidlaw is likely the son of Richard Laidlaw, the founder of Farmers Trading Company; and Lincoln also opened the Jon Jansen furniture shop.) By 1948, the first “Lincoln Toy” was made and the toy company went on to make and import many licensed — and unlicensed — toys, using the “Boy oh boy, a Lincoln Toy!” slogan. The toy company merged with or was bought-out in 1983 or 1984. The toys made between the 1960’s and 1970’s are often considered the company’s “golden age” and the vintage space age theme toys by Lincoln remain quite popular with collectors today. Even though “Mr. Rock” is a knock-off, this vintage toy has great value — it’s so rare that, according to Mego Collector, one of these sold in 2007 for $5,556. More info available here. Lincoln may have used Wyn toy bodies for trucks and other vehicles. Info on Lincoln and diecast Brentware aka Brentoys. Collecting Little Tuppence and Posing Penny dolls. Images from a 1967 or 1968 Lincoln International toy catalog. 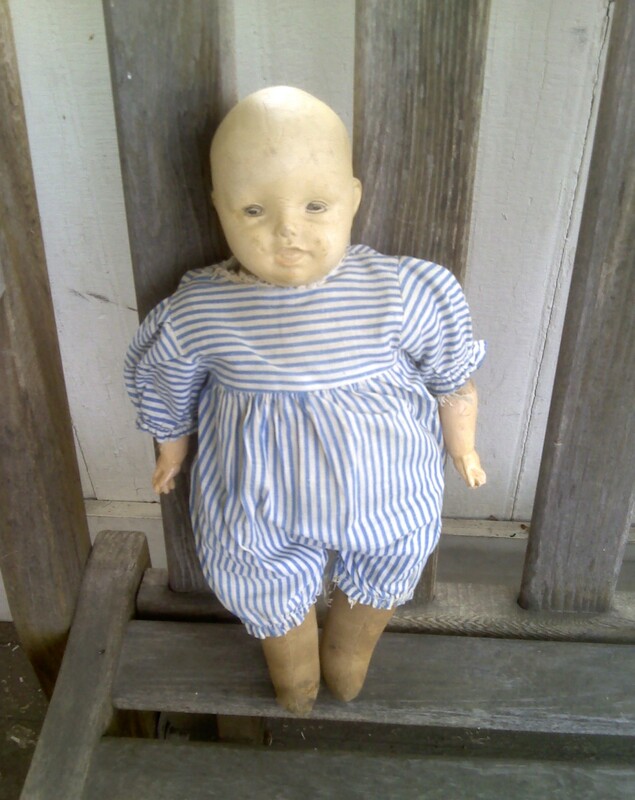 This charming antique composition baby doll has a sawdust stuffed cloth body beneath the original stripped cloth outfit. 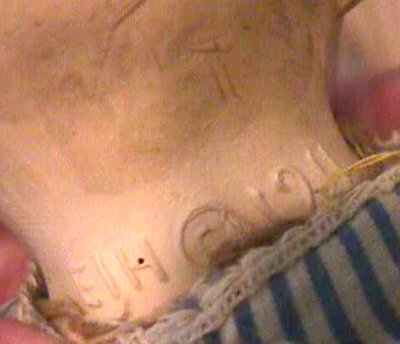 This 12 inch tall antique doll is identified by the EIH © 1911 mark on the back of the neck. 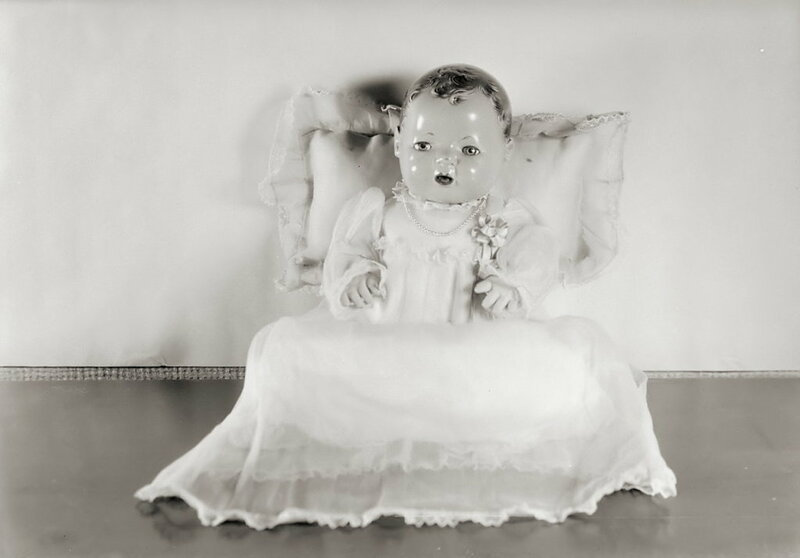 One of the Horsman Can’t Break ‘Em character dolls, the head and face of this sweet antique baby doll was sculpted by Helen Fox Trowbridge in 1911 using her own one-year-old son, Mason Jr., as the model. 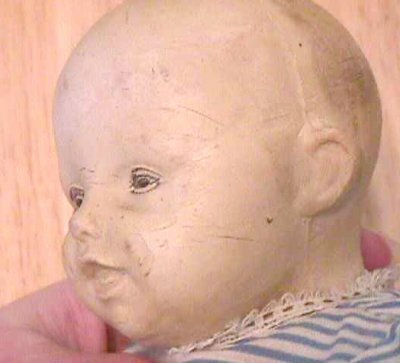 The first doll in the Horsman Gold Medal Baby series, this doll marks the first time that this mold was used. 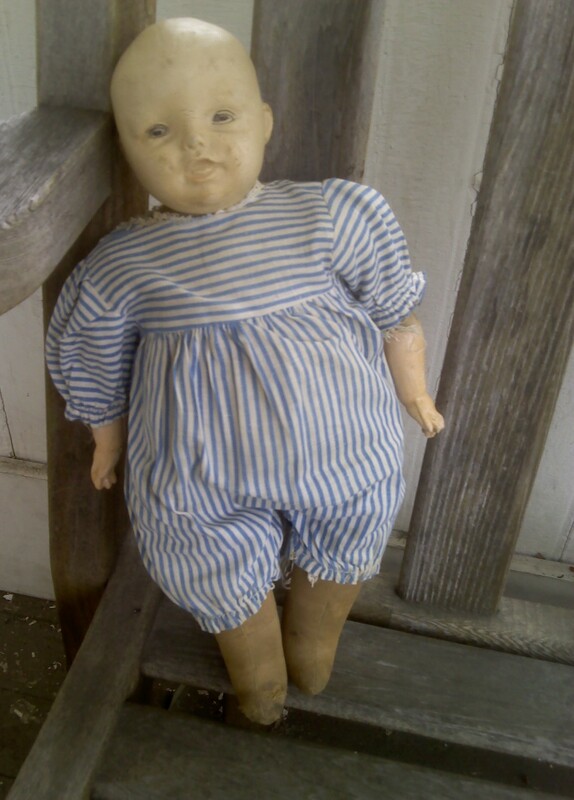 Considering that this is a 100 year old doll, there are few condition issues. The jointed legs are still flexible and move nicely, there’s some wear to the head. On the right hand, a few of the fingertips are damaged. All signs that this baby was played with, but gently. And that’s part of the charm. What charms me the most this doll is that the sawdust-stuffed fabric covered feet show discoloration and some fraying — probably where a young child sucked the toes to comfort him or herself to sleep. Literal sweet feet! She never claimed to be Mother's favourite again. The Russian dolls (also called Russian Nesting Dolls) are called Matroschka, Matryoshka and матрёшка. As a kid I would see these Russian dolls when we went to the Canadian National Exhibition in downtown Toronto at the end of each Summer. I always wanted one. They were exotic, something from a country I heard so many different stories about. They were also so pretty, some were cute and some were so intricately painted they were things of real beauty. I asked my Mother to buy me one. She told me to wait and see if I still wanted one next year and then I could buy one myself. This is still excellent advice for anything you want, it sure does cut down on my impulse spending when I am out shopping around. (Not that I always follow that rule, of course). It took me a few years before I had the money to spend on a Russian doll. I couldn’t get one of those really big ones with endless dolls nested inside. But, I did get one that made me happy. 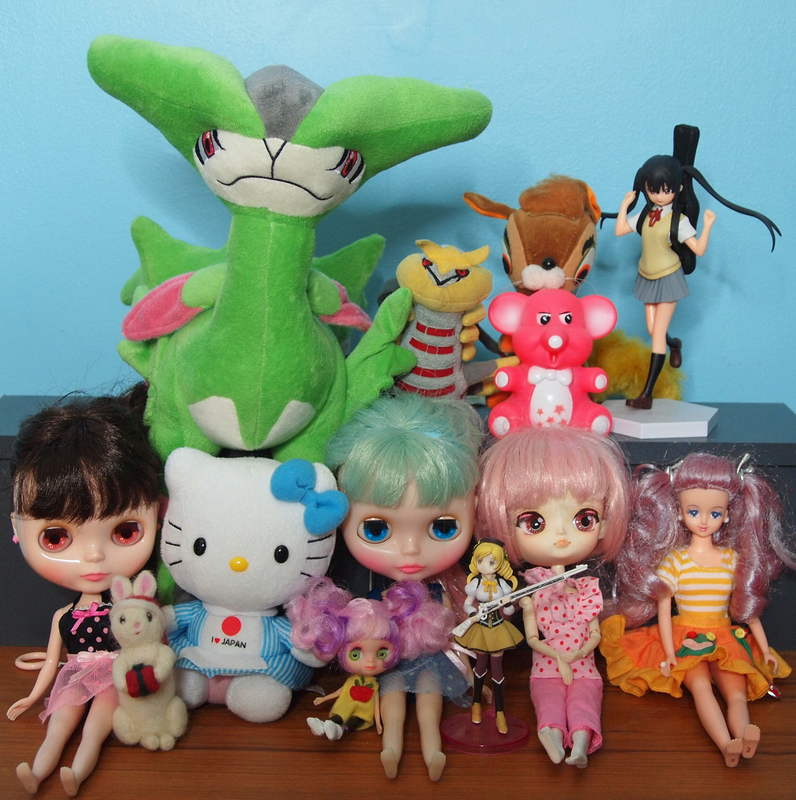 She has five dolls, including the tiny baby in the middle. She is a traditional looking Russian doll cause when I took the time to look and remember the very first Russian dolls I had wanted this one seemed to be the most like the very one I had wished for all that time ago. I think she’s pretty. Of course, I have seen cuter dolls since then. But, I am happy to have the doll that I have. Buy a pattern for (very cute) crocheted Matryoshka dolls from Handmade Kitty’s Etsy shop. Soleil Girl has pretty Russian nesting dolls made out of felt, with embroidered features. The Russian Crafts site has a page up with lots of information about the history and creation of the traditional Russian Nesting Doll.